We had a houseful of people over to our house last Sunday after church. We had a special speaker that day so we invited his family and several other families from our church over for a casual finger food luncheon afterwards. I served some of my favorite things, 🙂 Easy Turkey and Cheese Tortilla Roll Ups, Veggie Tortilla Roll Ups, Chunky Blond Brownies, Blarney Stones and several other appetizers I’ve yet to post up including this one. I first tried this recipe at a class Sunday school party about six or seven years ago. The gal who made it told me all she used was grape jelly, ketchup and frozen meatballs. It was so delicious I had her email me the recipe. I decided to make up my own meatballs so they would be fresh and not frozen or filled with junk. I went ahead and made up the meatballs and sauce a day before I needed it. I though, ok, I’m good this is great, I’ll have everything done in advance. Hmmmmmm….I tasted the sauce and it was not like what I remembered. Perhaps because Dorthea used a cheap ketchup it wasn’t as overpowering. Or maybe because she cooked her meatballs in the sauce all day long and some of those flavors permeated the sauce better. Whatever, this one was way too ketchupy for my taste. I didn’t like it. I pondered over what I was going to do for several hours. Finally, after checking on Pinterest to see similar recipes I found it was made only two ways and never with ketchup. It was grape jelly with Sweet Baby Rays BBQ sauce or grape jelly with chili sauce. So I asked my husband to run to the store for me and get Sweet Baby Rays and another jar of grape jelly and decided to start over. I poured out the old sauce and started fresh with the new ingredients on the day of the party. Thankfully, when I got home from church and tasted the sauce, it was wonderful. I hope this will encourage those of you who try new recipes and they don’t always turned out like you hoped they would. Sometimes a little tinkering is all they need to be perfect for your family and friends. So if you’re looking for a tasty cocktail meatball recipe this is a good one. If you do use frozen meatballs, you’d better be careful to get a lean meat, otherwise a lot of grease will be added to the sauce. I used a 93 or 96% lean beef, and because I baked them there wasn’t much grease when I added them to the crockpot. You can also add these to the crockpot if you start first thing in the morning and not bother pre-baking the meatballs. Just make sure you use lean beef unless you want a greasy sauce! 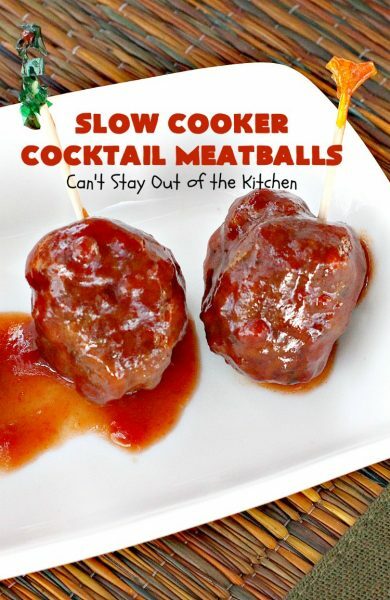 Slow Cooker Cocktail Meatballs made with Sweet Baby Ray’s BBQ Sauce are amazing. Everyone, even the kids, loved these meatballs. 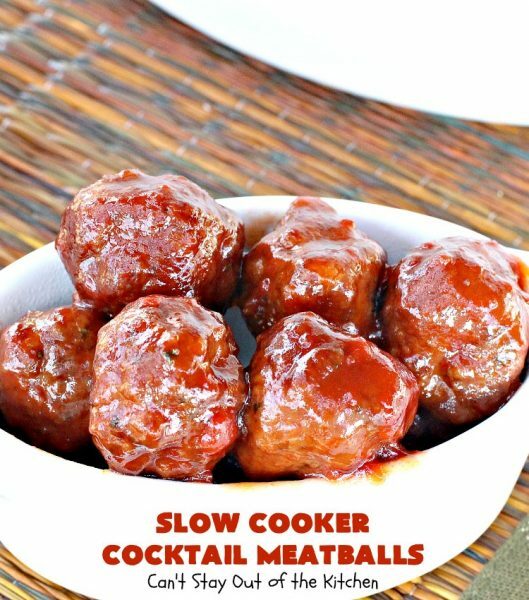 Slow Cooker Cocktail Meatballs are incredibly easy. You can make these even easier if you use frozen meatballs. Put everything in the crockpot before you go to work and when you come home they’re ready to eat! I used these ingredients. I swapped out the Ketchup for Sweet Baby Ray’s BBQ Sauce. 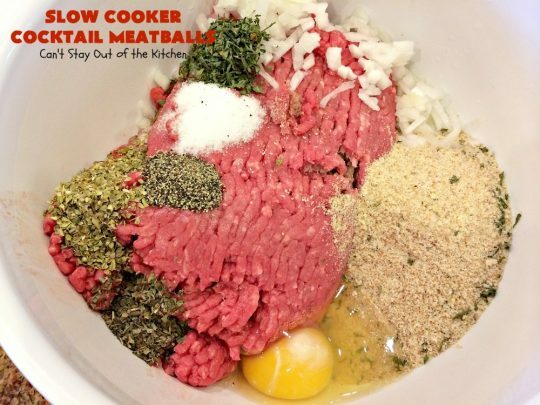 To make meatballs: Place lean 93% or 96% ground beef or sirloin in a mixing bowl. Add seasoned bread crumbs, an egg, salt, pepper, basil and oregano. Mix ingredients with your hands and fingers until thoroughly mixed. Roll meatball mixture into balls and place on cookie sheets that have been sprayed with cooking spray. 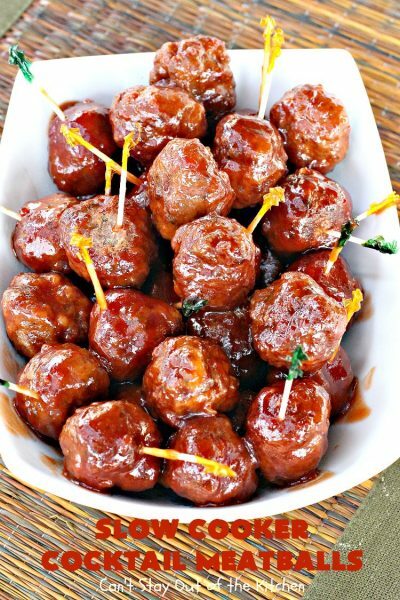 Bake at 350 for about 20-30 minutes or until meatballs are browned. 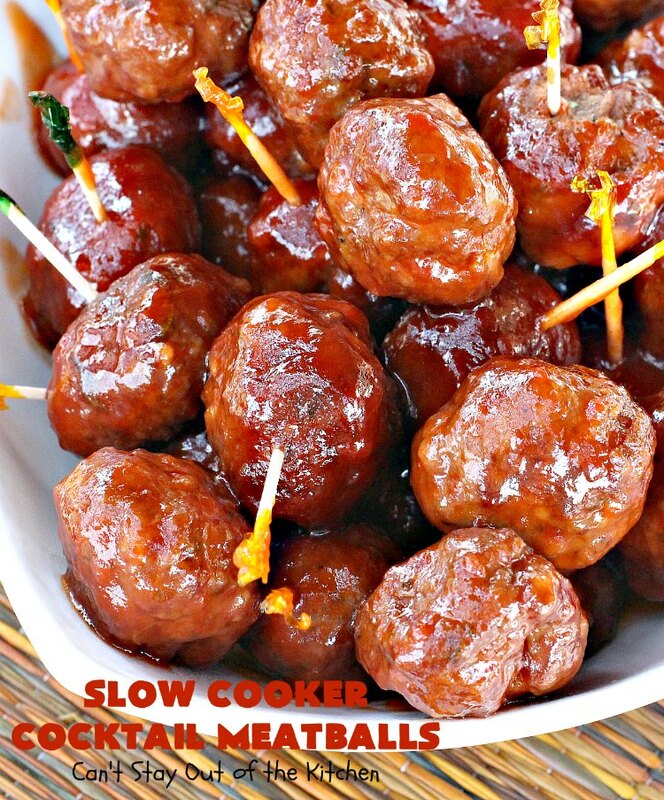 (Or you can add the meatballs to the sauce if you plan to cook it all day in the crockpot). The sauce has only these two ingredients. Place BBQ sauce and grape jelly in crockpot. Stir well to combine. 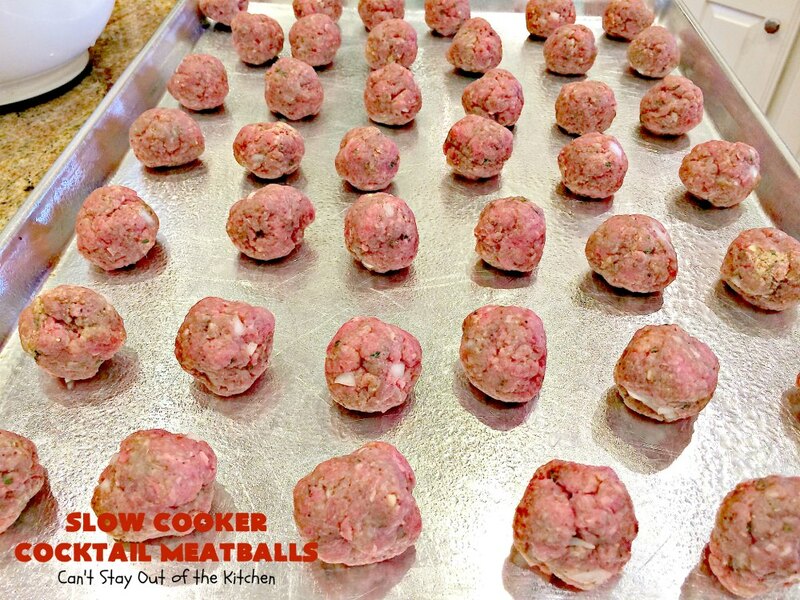 Add cooked meatballs and cook a few hours on high until ingredients are hot. 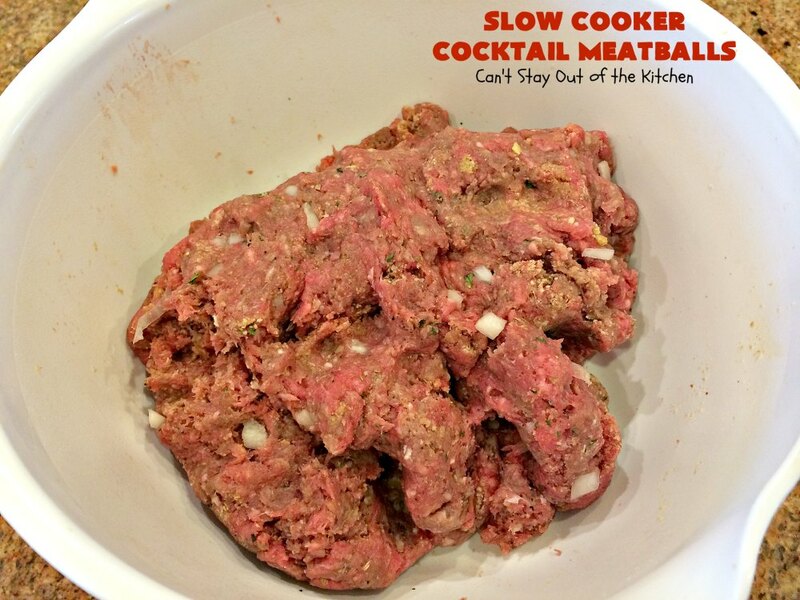 Or you can add raw meatballs and cook the whole thing in the crockpot about 8-10 hours on low until hot. Stir well before serving. 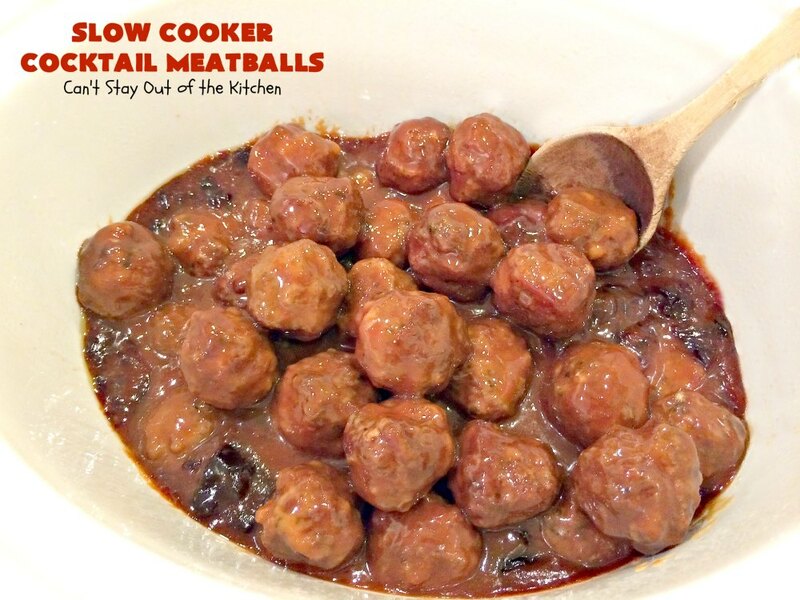 Once sauce is heated thoroughly and meatballs are cooked, you can serve straight from the crockpot. I used tongs to hold a meatball in one hand, and placed a toothpick in the other, so everyone could pick them up more easily. This is also a great main dish meal if you want to serve the meatballs over cooked rice. These meatballs are loaded with flavor. 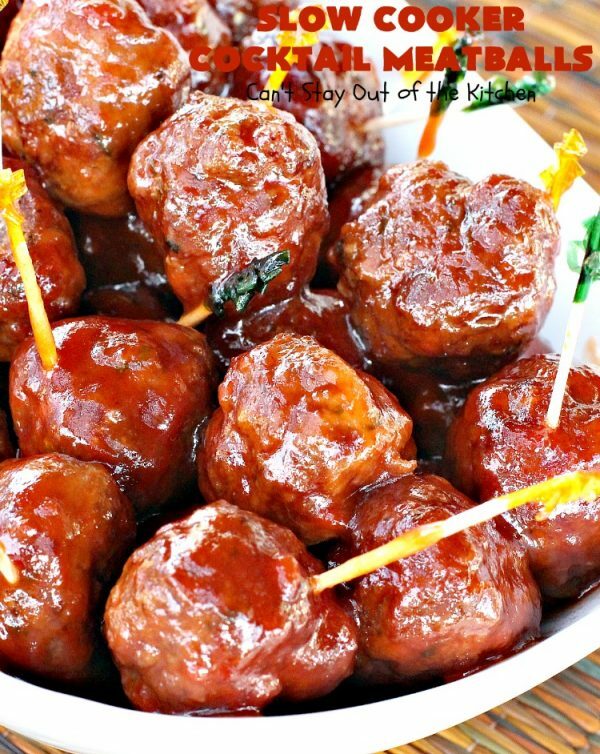 This amazing appetizer is a wonderful hot dish for tailgating or Super Bowl parties, but it's also great as a main dish served over rice! This one uses Sweet Baby Ray's BBQ sauce and grape jelly for the sauce! 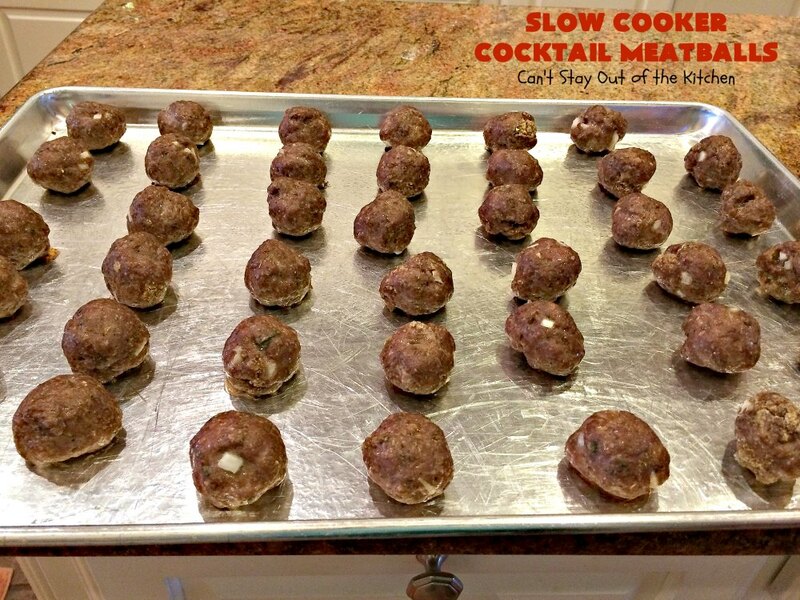 Mix together meatballs and place on sprayed cookie sheets. Bake at 350° for about 20-30 minutes. 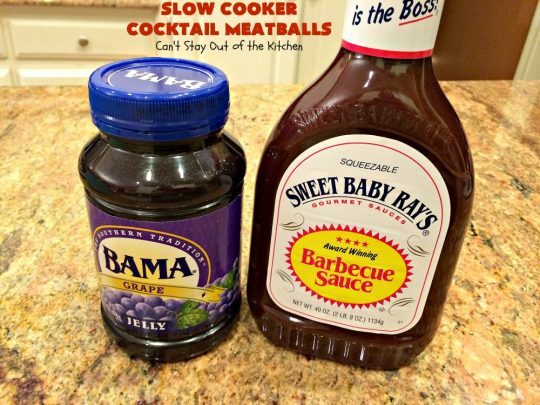 While meatballs are baking, pour barbecue sauce and grape jelly into crock pot and stir well. Add meatballs and heat through for a few hours on low. Continue stirring occasionally to get lumps out of jelly and make a smooth sauce. These are delicious served as appetizers or as a main dish with noodles or rice. Combine ingredients really well with your hands. Bake meatballs at 350° for about 20-30 minutes. Add to crockpot with jelly/ketchup mixture. 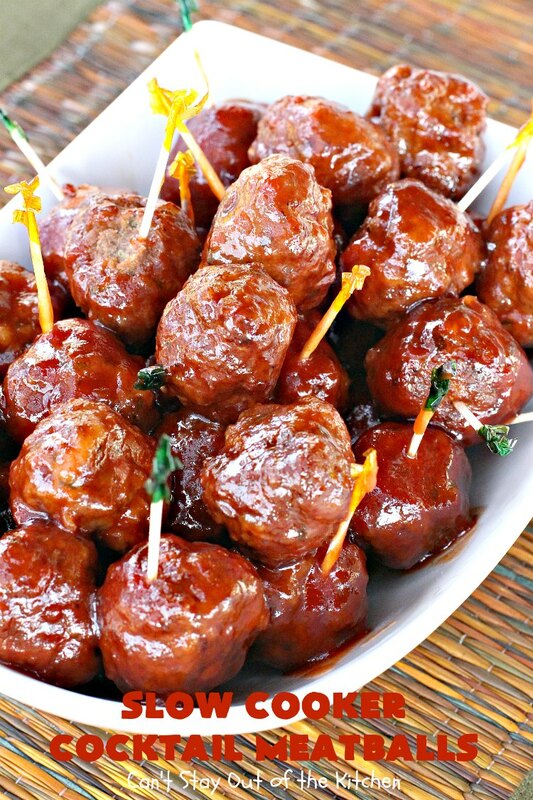 Continue cooking on low until meatballs absorb the flavors from the sauce—about 3-4 hours. NOTE: You can also add raw meatballs to the sauce and cook on low for 8-10 hours. NOTE: Be sure you use a high quality lean ground beef 93% or 96% lean or you will have a greasy sauce! This amazing appetizer is a wonderful hot dish for tailgating or Super Bowl parties, but it’s also great as a main dish served over rice! This one uses Sweet Baby Ray’s BBQ sauce and grape jelly for the sauce! You can also put these in the crockpot on low all day (around ten hours) and allow them to cook without precooking. 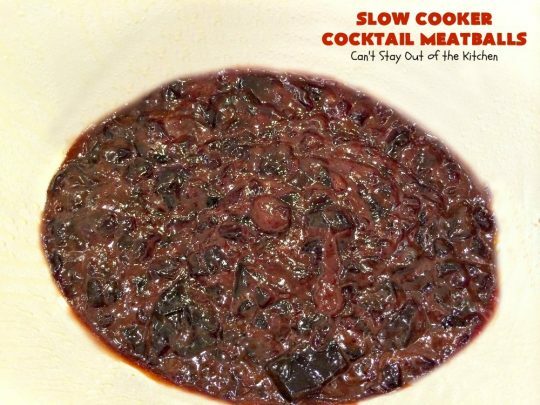 [br][br]If you elect to make the entire dish in the crockpot, make sure you use [u]very lean beef[/u] or sirloin so you don’t end up with a lot of grease. 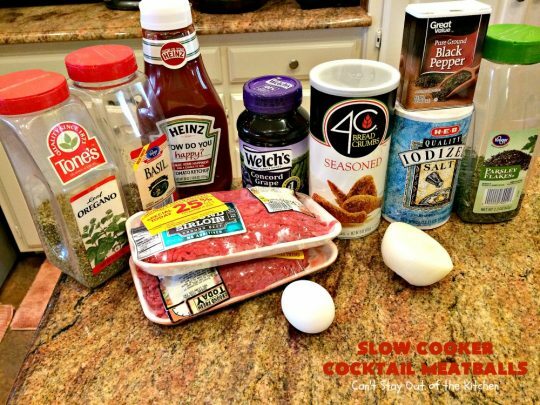 You can also add raw meatballs to the sauce and cook on low for 8-10 hours. [br][br]Be sure you use a high quality lean ground beef 93% or 96% lean or you will have a [u]greasy[/u] sauce! Slow Cooker Cocktail Meatballs are great for #SuperBowl fare or #tailgating parties! 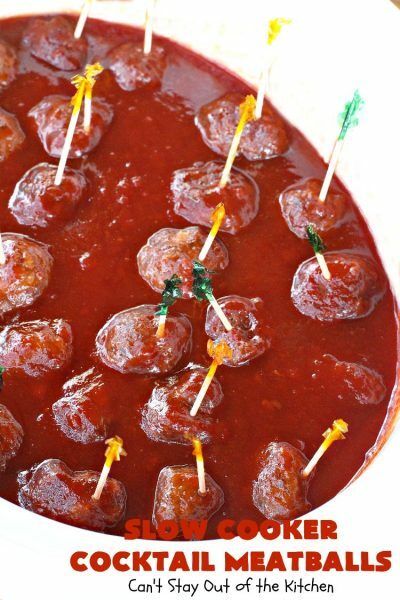 This easy recipe is fantastic to make for parties when you don’t want to spend all day working on an appetizer! 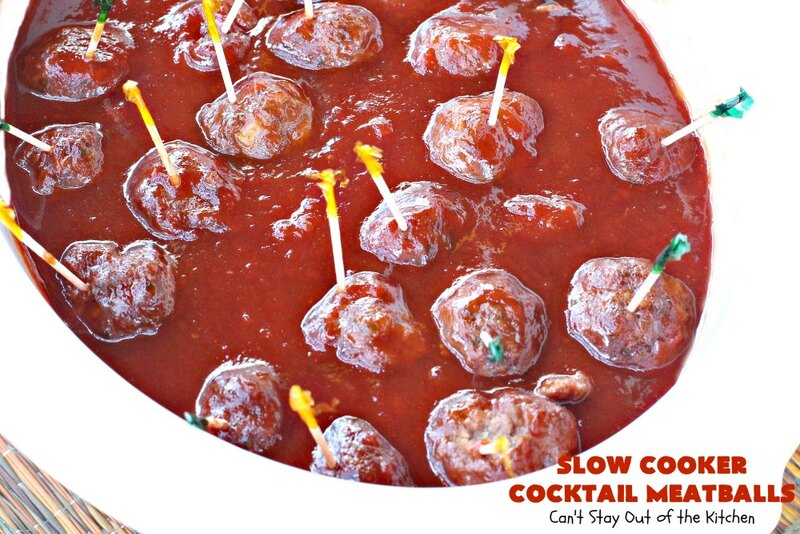 Don’t Slow Cooker Cocktail Meatballs look terrific? I have visited many food blog sites and yours is the best, so far. I love reviewing other recipes to try on my own, or to modify, and your site is quick and very interactive. It is easy to find your other recipes with all the categories, and I love how you link recipes within your comments…perfect. Your disclaimer at the bottom is excellent because I often read reviews where people trash recipes that they try. The idea of sharing recipes is to give people a place to start with the basics so that they can create their own taste for foods and ingredients, and to inspire a passion for cooking…thank you! Wow, Belinda, thanks so much for taking the time to share your thoughts with me. I’m so glad you enjoy my blog. I’ve worked really hard trying to get better pictures and show step-by-step directions so even beginning cooks can have successful outcomes. I’m glad you like the links and things I’ve done to make my blog more helpful. I really appreciate your feedback. Have a great weekend. 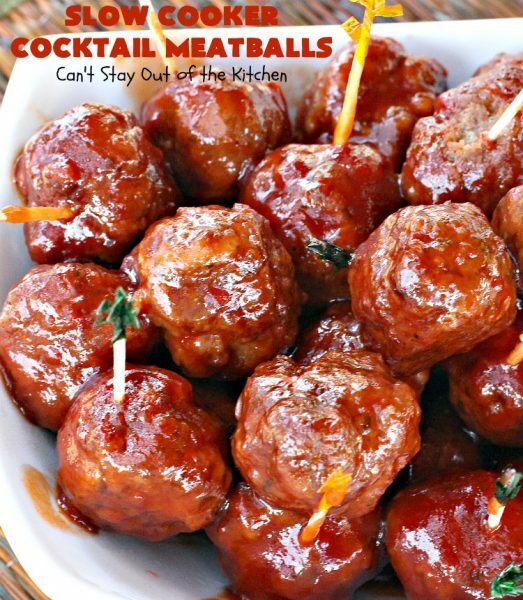 These look so yummy, but I confused by the second line of the ingredients for the meatball recipe. It says “1 cup 4C seasoned bread crumbs”. What does that mean? Was an ingredient inadvertently left out or which is the correct amount? Hi Skeeter, 4C is the brand name of the seasoned crumbs I used. I used one cup of the brand “4C seasoned bread crumbs”. Hope that clarifies it for you.